Have you ever thought about moving to Easingwold? You should. In our opinion, it’s one of the best places to live in Yorkshire. Whether you’re renting or buying, you’ll find plenty of options in our beautiful small market town - suitable for every budget. But the excellent housing market is just one of the many benefits of moving to Easingwold. It might be small (population is less than 5,000), but there’s a lot of culture and history to this place. Here, we’re going to go through a few of our favourite things about Easingwold. We reckon you’re soon to be convinced that it should be your next home. Picture perfect. Look at any landscape picture of Easingwold, and you’ll be convinced of it’s natural beauty. Incredible greenery as far as the eye can see. Rolling hills and gorgeous woodlands are plenty. If you’re a nature lover, then this is the place for you to be. The beauty of this town has not been diminished by modern-looking buildings. It’s an area with a lot of history, and that’s reflected in the houses, pubs, and local shops. Granted it’s a small town, so there aren’t a lot of buildings to get excited about. But it does a lot with the little it has. If living out in the countryside is appealing to you - then you’re likely to enjoy the many nature-related activities Easingwold has to offer. Particularly if you’re a fan of walking. There are lots of different routes for you to try. And they’re all of a different variety - whether you like a challenge, or more of a walk in the park, you won’t be disappointed. If you’re into sports, then you’ll be delighted to know there are a number of excellent golf courses in the area. And of course there’s the local cricket club. Easingwold CC is one of the oldest clubs in Yorkshire - they’ll be very proud to tell you. Often people assume a town out in the countryside is ideal for retirees. But that’s not necessarily the case. Your typical family of four would be very happy here, we feel. For working parents, the city of York is only 13 miles away. It doesn’t take too long to get there by car, and there is a bus route. And for children, the local schools are all very good. You can count on your child getting an excellent education in Easingwold. Many families currently reside in this town, and wouldn’t swap it for anywhere else in the country. 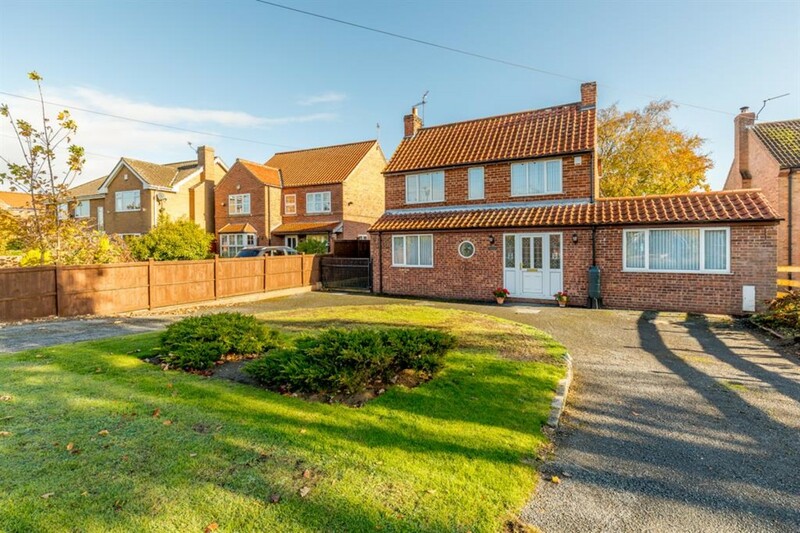 As we’ve already mentioned, Easingwold has a great housing market. And Hunters is perfectly placed to help you gain an understanding of this market, and find a suitable place to live. We do have places for sale and rent, so if you’re not quite ready to get on the property ladder, don’t worry. There’s also something to suit different budgets. A two-bedroom flat can be bought for somewhere between £100,000 and £150,000. Whilst you can get a three-bedroom detached house for £350,000. Whatever your requirements, the local Hunters team can help. Get in touch today so we can get started!